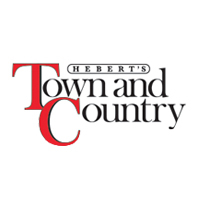 Hebert's Town And Country Chrysler Dodge Jeep Ram Auto Body Shop in Shreveport, Louisiana is your home for all of your auto body and collision repair needs. We specialize in repairing everything from bug and bird damage to full collision repair on all makes and models of vehicles. We are a certified preferred car repair facility for all insurance companies. No need to run all over town getting estimates as we do all of the paperwork for you! Visit our collision center, conveniently located in our AutoMall dealership today. You will also love knowing that we are equipped with the latest technology in auto body repair. We use a laser-based measuring system on the frame machine to ensure tolerances within 1/1000 of an inch. Our technicians are trained to the highest standards in the industry. We want to make sure you feel comfortable and at ease when your car, truck or SUV is in our collision center in Shreveport. We are also conscious of the environment and do whatever we can to make sure our auto body shop is not harming the Louisiana air. That is why we are “Going Green” in the body shop. We use the latest waterborne paint system, which means less thinner and harmful fumes are released during your paint work. A quality repair that makes us all breathe a little easier! Hebert's Town And Country Chrysler Dodge Jeep Ram’s body shop is located onsite on our lot directly behind our Service Department.